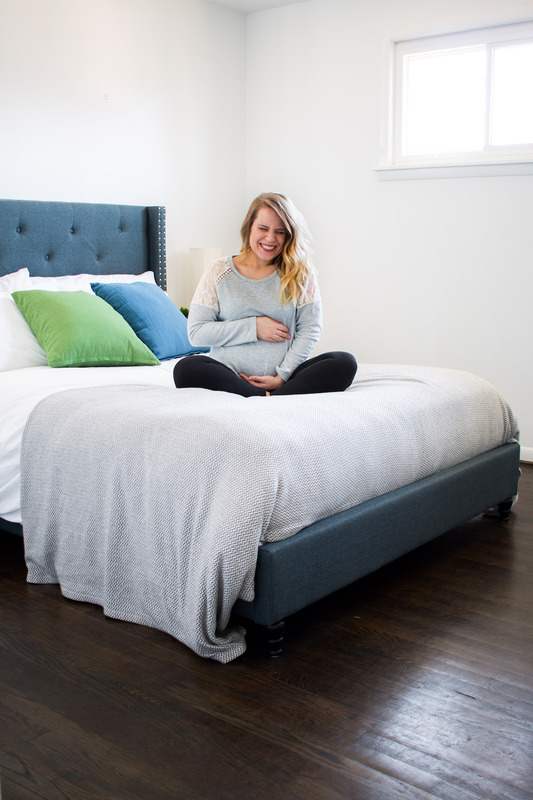 You voted on Instagram, so here is a little maternity style post just for YOU! So, I'm gonna be real upfront and tell you that I seriously love having a pregnant tummy. I think it's so fun to find ways to flatter it with different outfits, and I've truly enjoyed it. I know some people really mourn the loss of their pre-pregnant bodies, but after going through infertility, I am nothing but grateful to see that belly grow! Maybe you're the same, maybe you're not, but regardless, that belly will grow... so why not have some fun making it look adorable? I spent some time online looking for cute maternity shops, and my favorite that I found, was called PinkBlush. 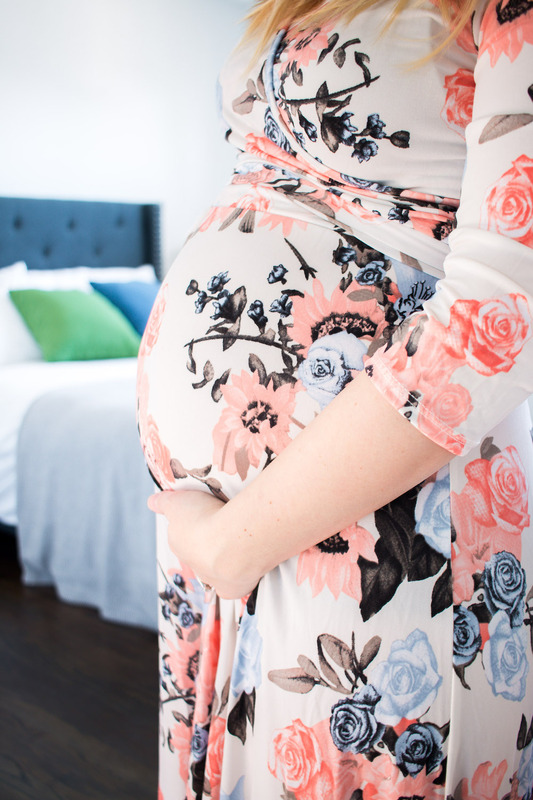 They are more known for their maternity clothes, but they also carry regular women's clothing, plus, and maternity plus. I would definitely describe their overall style to be "boutique," but with super reasonable prices. Honestly, I feel like everywhere you go shopping at the very limited brick and mortar maternity clothes places, the prices are crazy high and you end up really limited in terms of options. PinkBlush sent me a few items to share with you, and my true and honest opinion is: I LOVE THEM. They're flattering, they have tons of options, and the price is right. They even have the prettiest delivery robes! Little thing - their sizes do seem to run big. I got everything in a medium (which I normally wear for tops and dresses) and I had plenty of room. I'm 24 weeks, so maybe in another 15 weeks, I'll go back on that statement (haha) but just a heads up. Enough chatter - here are the cute pieces I snatched up AND an announcement mingled in there for you to find! Did you catch it?! We're having a BOY and SO overjoyed! The funny thing is, we found out in the emergency room when I was 17 weeks and had a kidney stone. I had to get an OB scan to make sure the baby was okay, and the tech was asking if we were planning on finding out, etc.. and we had said yes, but were just making conversation. When they wheeled my bed out of the ultrasound room, she came running after us with a folded up piece of paper and said, "If you want to know, you can look at the paper..." Of course, we looked the second we got back to our ER room and it was super precious and happy amidst the crappy scenario. Anyways, I thought this post would be perfect for announcing our happy news :) simply because having something cute to wear makes it all the sweeter! Oh and that lace shoulder sweater up there is suuupppperrrr comfy and adorable and I've basically been living in it these days!